Term Dates - Dates that are set globally which help to manage users' "dashboard" and "all courses course lists" to show courses completed during a previous term under a "Past Enrollments" heading. 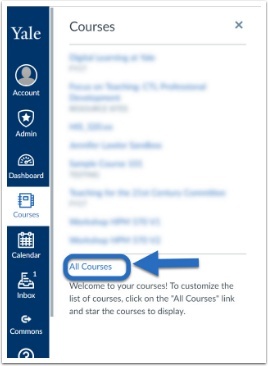 Courses that are concluded by Term Dates are still visible to all instructors and participants, but cannot be modified after the end date (Admins can intervene to undo this). 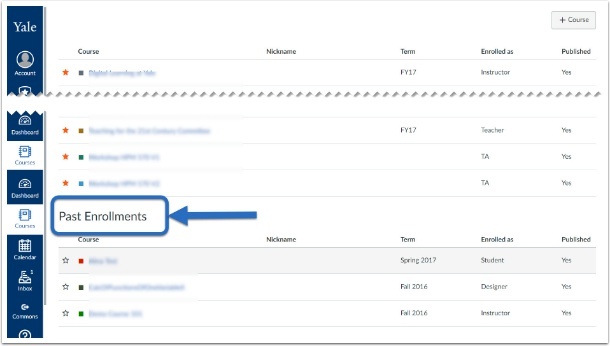 Term Dates can be overridden by Course Dates. Courses within Fall 2019 term will be placed into past terms on August 31st, 2019. Courses within Spring 2019 term will be placed into past terms on August 31st, 2019. Courses within Summer 2019 term will be placed into past terms on August 31st, 2019. 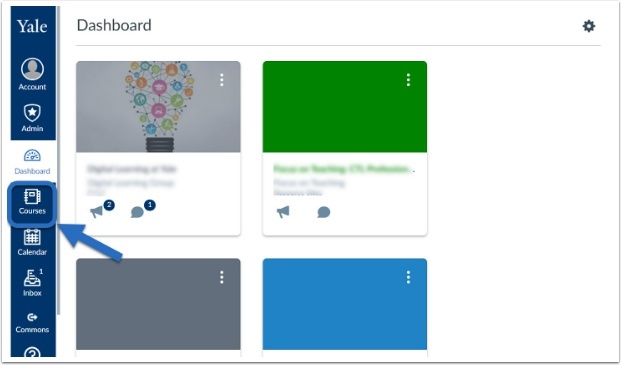 When the course is in the past term, you cannot add users to the course (the +People button in the People tool will be grayed out). In order to unlock the course to add users, please contact canvas@yale.edu. Please note: When adding users to the unlocked course, the invited users must accept their invitation prior to the course resuming the past term, read-only state. If the user has not accepted the invitation, then the course will have to be unlocked again. Project Sites typically are given the fiscal year for term. Meaning, that every July 1, project sites will be moved to the past term. For example, a project site with a FY19 term will go into the read-only state July 1, 2019. Please keep this in mind when requesting sites within the spring. Project Sites will have to be requested for renewal each year by submitting this form: Project Site Request Form. Please note that a consultation may be required to ensure that Canvas is still meeting the needs of the project site or if there are any other new tools that might meet the needs of the project. Next: How do I change my name?